Colette Fitzpatrick will be joining the broadcasting team at Newstalk's Marconi House headquarters to present a new Sunday morning show. The station confirmed the news this morning. The Colette Fitzpatrick Show, sponsored by Marks & Spencer, will air for the first time this Sunday August 2nd at 9am. Colette's new show will include topical discussions, expert advice and high profile interviews. The show will feature a wide range of topics including psychology, parenting, book and TV and reviews as well as women's health and well-being. Colette is the first woman to front a show on the station since Dragon’s Den star Norah Casey stepped down from her weekly show Mindfeed last year. “I’d hate for anyone to think that this was a case of ‘we need to get a woman on air so we’ll get Collette’,” she told the Herald this morning. “Without bragging, I think I’ve proven myself in journalism over the last couple of decades. Having started her career in local radio, the presenter couldn’t be happier to return to the airwaves this Sunday. The Tipperary native gained her journalism degree from DIT Aungier Street and cut her teeth working at East Coast Radio (now East Coast FM) in Co Wicklow. She also spent time working at Today FM before making the move to television in 2001. “I’ve been dabbling in radio for a while now, I’ve done some fill in on Jonathan Healy’s programme here at lunchtime, so it’s great,” she said. 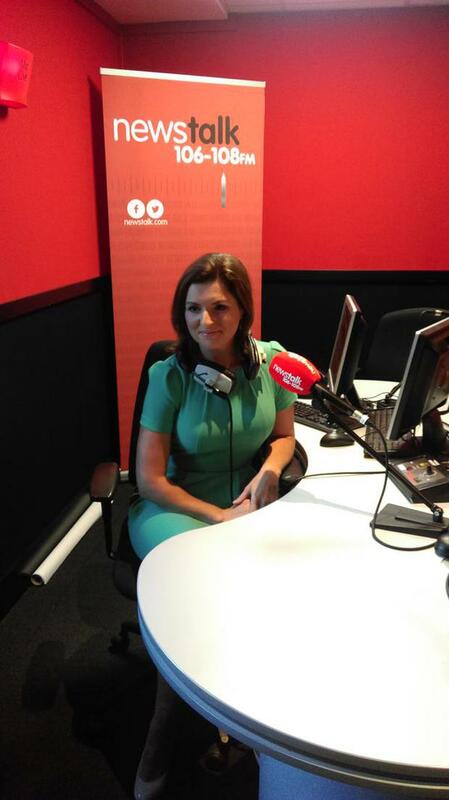 The 40-year-old has become a household name as one of TV3's main news anchors. For fourteen years, Colette has presented daily news bulletins from the Ballymount station and also hosts the prime time current affairs show Midweek every Wednesday. The mum-of-two also writes a weekly column with The Herald. Colette married station director Niall McDermott in 2009, and the couple are parents to Milo (4) and Olivia (2).